“Domagoj’s Pirates” Vessel Association in Vid, is an organization which is preserving the old vessel tradition of the Neretva’s Valley. 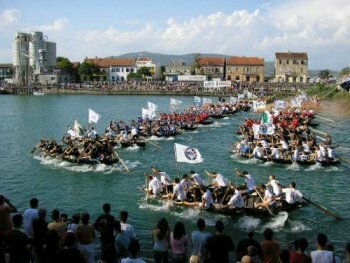 This association participates every year in the “Vessel Marathon”, a sporting competition which involves the racing of vessels on a course of 22,500 meters long, held on the Neretva River, from Metkovic to Ploce. 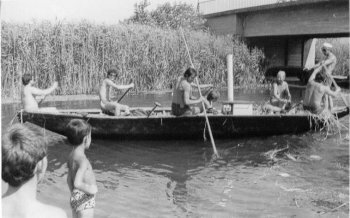 The vessel was old, native and a traditional river ferry to the lower part of the Neretva River which flows through the Republic of Croatia. The vessels served for centuries to transport people, animals, farm produce and also was a service for weddings, funerals etc. The vessel itself was narrow and good for shallow waters. Therefore, it was able to enter every small backwater (channel) of the rivers that flowed into the Neretva as well as the Neretva River itself. 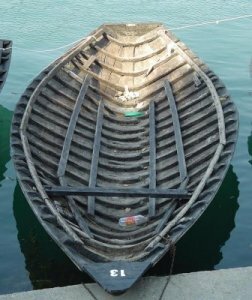 It can be said that the vessel to the Neretva represents the same significance as the Gondola does to Venice. In 1975, a group of villagers decided to sail in a vessel, from the Norin River to about 40 kilometers downstream on the Neretva River, then following the coast of the Adriatic Sea up to the Makarska’s Riviera, then to islands of Brac and Hvar and to Peljesac peninsula. The name of the vessel was “The Pirates of Vid”. Sailors were dressed in traditional clothing of the village and on their journey; they sailed and stopped at tourist places, offering them their “pirate treasures” which included fish, shells, mussels and nature’s goods. After ten days of navigation, sailors came back to the village for the traditional Feast of the Assumption of Mary, which is on August 5th and the traditional celebration of the village of Vid. This “pirates” tradition was keep alive until 1991 when it was stopped because of war aggression of Croatia. However, in 2005, the pirates had begun with their “pirate treasures” once again. 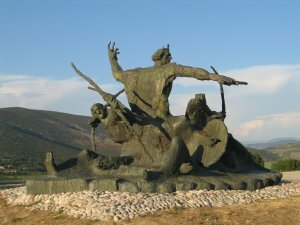 In 1997 in the village of Vid, a monument was dedicated to Prince Domagoj who was a very important historic monarch from 10th Century in this region. At that ceremony “The Pirates of Vid” had changed their name to “Domagoj’s Pirates”. Every summer beginning in June until second Saturday in August, you can watch “Domagoj’s Pirates” crew, practicing and preparing themselves for the “Vessel Marathon”. In 1979, “The Pirates of Vid” bought the old vessel which was built in 1895. They used this vessel for their “pirate treasures”. Even at this date, that vessel is the property of “Domagoj’s Pirates” Vessel Association and it is the oldest vessel in the Neretva Valley. 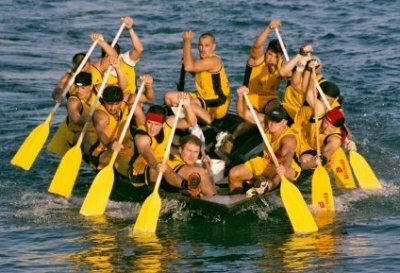 “Domagoj’s Pirates” navigated with the vessel at the “Vessel Marathon” in 2000 earning them 10th place. Beside been involved with “Vessel Marathon”, this organization is very active with preserving the plants and animals in this region.